Purim is coming up soon, and I was recently asked about the meaning of the phrase שושנת יעקב shoshanat yaakov, found in the piyut sung after the reading of the megila. 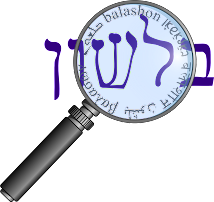 Steinberg identifies both the shoshan and shoshana as a lily, and Kaddari specifies the lilium candidum, the shoshan hatzachor שושן הצחור - the flower on the one shekel coin. (He does say that it could be referring to the lotus in Melachim I 7: 22, 26). Amos Chacham in his Daat Mikra commentary on Shir HaShirim, distinguishes between the shoshana bein hachochim שושנה בין החוחים - lilium candidum (2:2), and shoshanat ha'amakim שושנת העמקים - narcissus tazetta (2:1), also known as the narkis נרקיס (which also has six petals). The Encyclopedia Ivrit (quoted in this interesting article about shoshana) goes so far as to say that when the lilium candidum was found growing wild in the Galil and Carmel - the long debate about the identification of the Biblical shoshana was over. The lily, shoshanah, is used generically, as it embraced other related flowers. Lilies had grown on hills and in the field. The choicest of lilies were those that grew in the valleys, in the proximity of water. Perah - flower in the Bible - is often rendered shoshanah - lily in the Targum. In a footnote, he notes Targum Onkelos to Shmot 25:31-34 and Bamidbar 8:4 as examples of perach being translated as shoshana. This seeming inaccuracy is explained by the generic term of shoshan which might have included such flowers as the lotus and even the rose. In fact, the Midrash contains a few passages which speak of a soft lily, and the excellent of this kind is the lily of the valley, paralleling the rose of the valley. Besides these allusions, the Midrash specifically mentions a shoshanah shel wered -a lily-rose - which grows in orchards, this species of lily-rose being the symbol of Israel. Rashi in particular reinforced the identification of shoshana with rose in his commentary on Shir HaShirim 2:2, where he describes it as always remaining red (although he doesn't mention the word rose or vered.) It also appears that the Zohar identifies the shoshana as a rose. As the Safa-Ivrit article points out, immigrants to Israel from Europe with names related to Rose - Raisel, Rosa, etc - generally used to adopt the name Shoshana. So while vered was still known to be "rose", I'm guessing it was more of a technical term, and less of a popular one. However, now the name Vered is also popular - which I think came in parallel to the flower being more popularly known as vered. So which translation is right? In a way, this is similar to the phenomenon we've seen before, such as in the question of what is the nesher. We now live in a scientific age, where every plant and animal is classified and sub-classified into genus and species. So we expect that the Hebrew names should reflect that level of precision. But the ancients weren't as concerned with that level of detail as we are today, and therefore shoshana could refer to a number of different flowers - even those fairly distantly related botanically.